Wear the Dark Elf Leather Bracer whenever combat calls for a shadowy approach. This single arm bracer has a unique and intimidating construction, made from a series of black leather panels with pointed ends layered over each other. Covering the arm from the knuckles to the elbow, this bracer has a rune stone-like panel protecting its wrist, fastened with a leather tie. Soft suede leather wraps help secure the LARP bracer in place at the knuckles, wrist, and forearm. Rugged stitching along the outer edges of this fantasy bracer lend longevity to its structure. 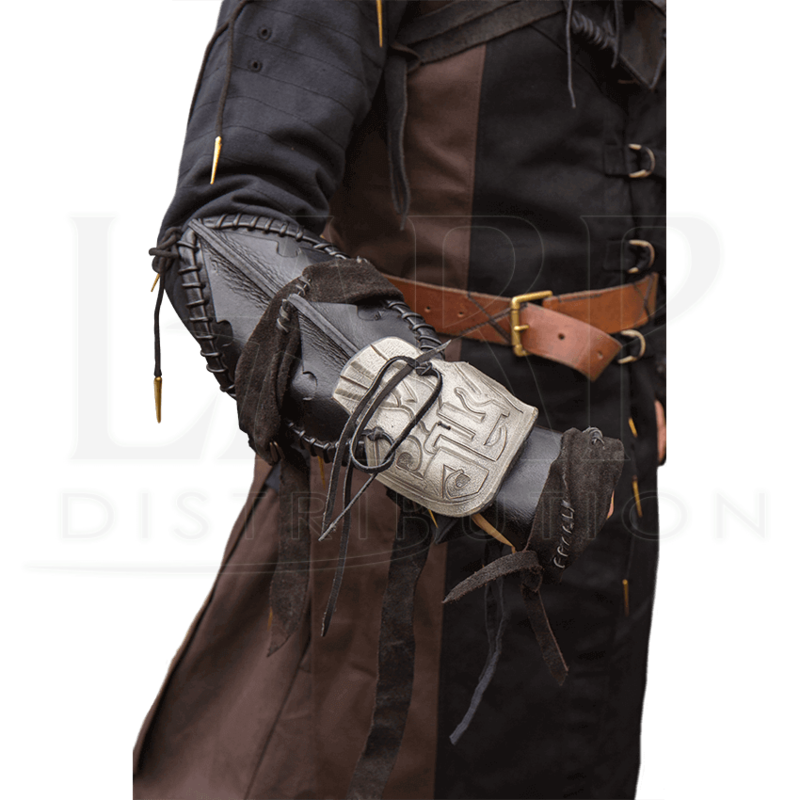 For LARP or cosplay events that call for the devastating style of a skilled Dark elf warrior, wear these black leather bracers with pride.